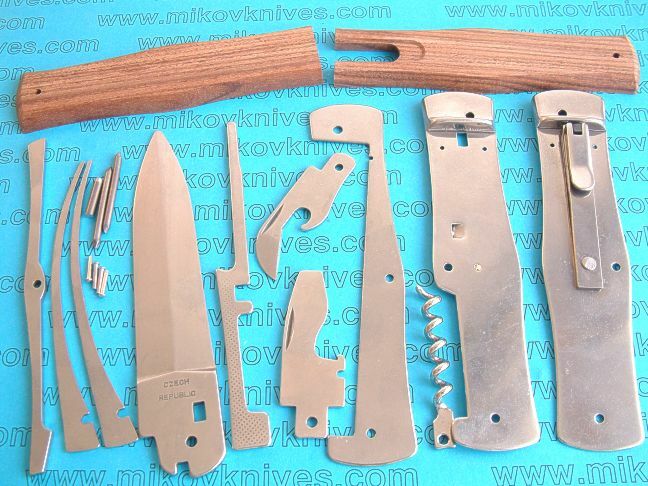 Kits: The "kits" are actually knife parts and are sold without the scales. 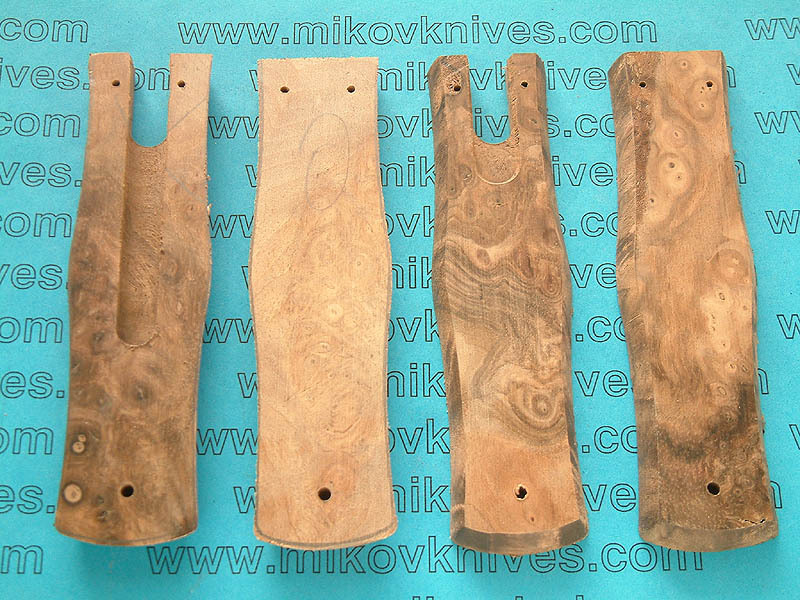 You can also purchase the scales (black or yellow ABS, cocobolo, turkish walnut, stag and horn) - please check Price list for prices. 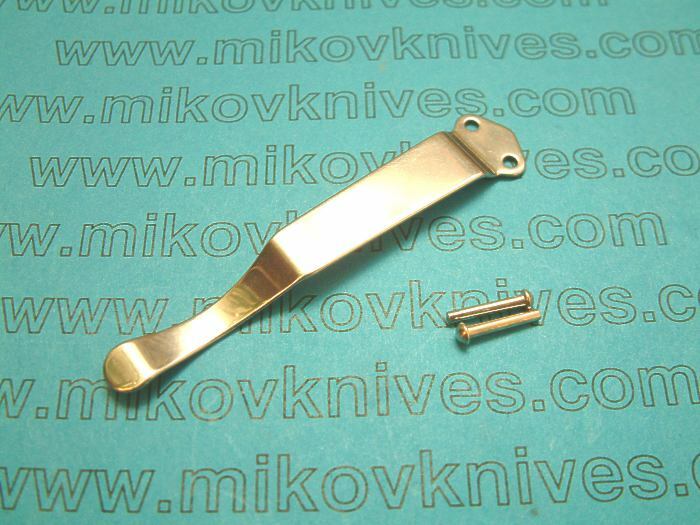 Pins (+ pivot pin) and rivets are included. 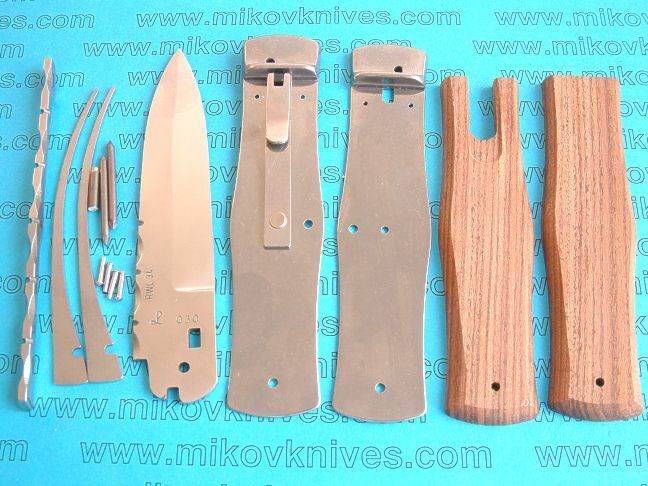 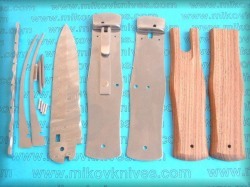 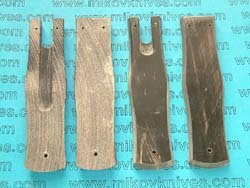 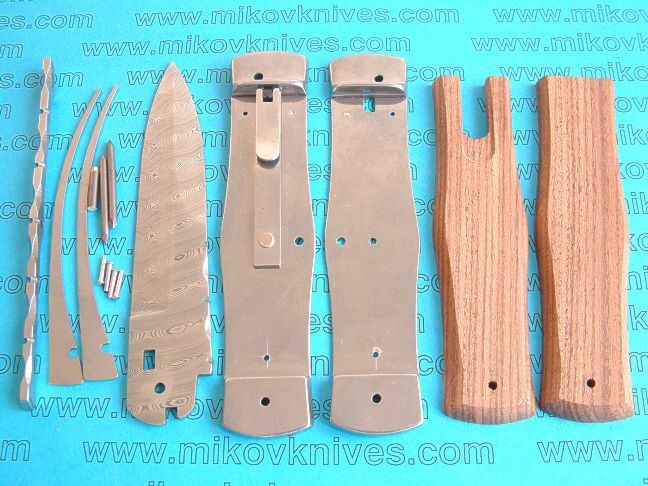 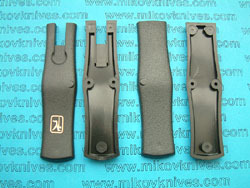 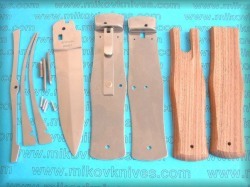 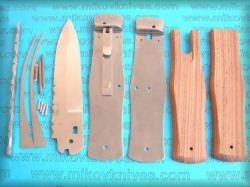 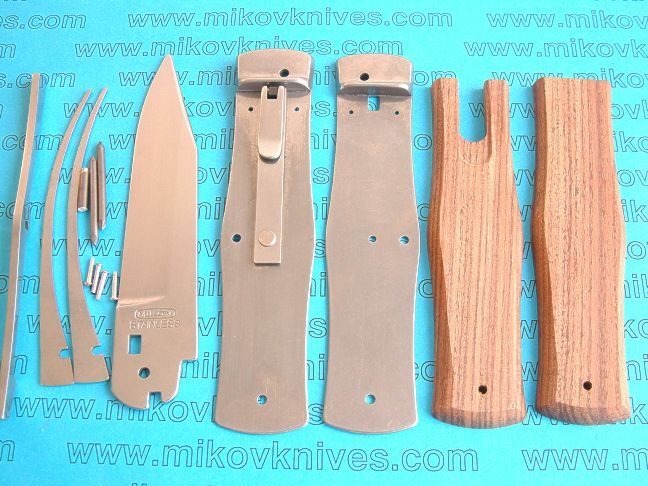 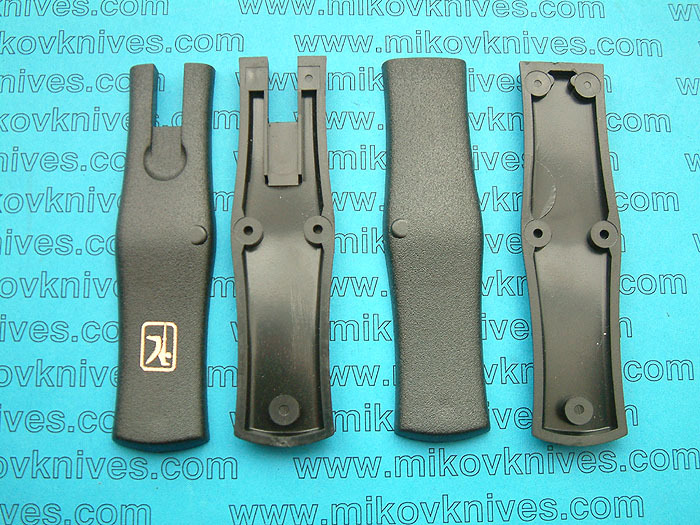 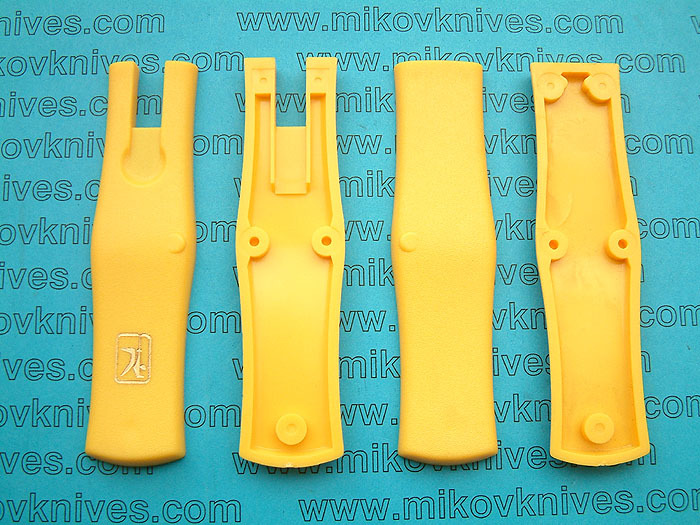 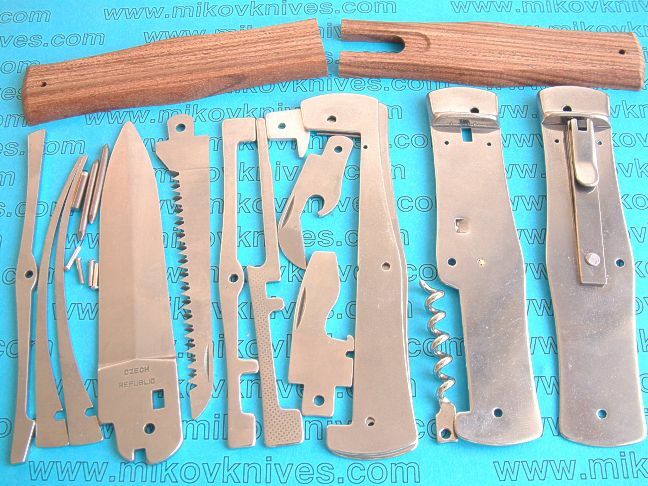 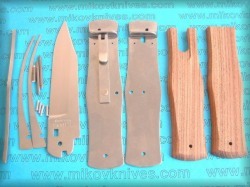 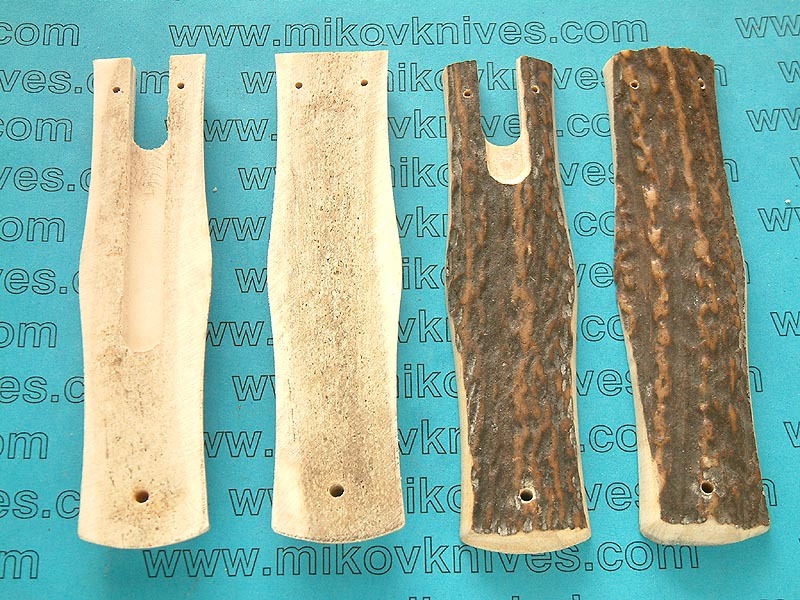 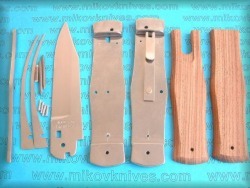 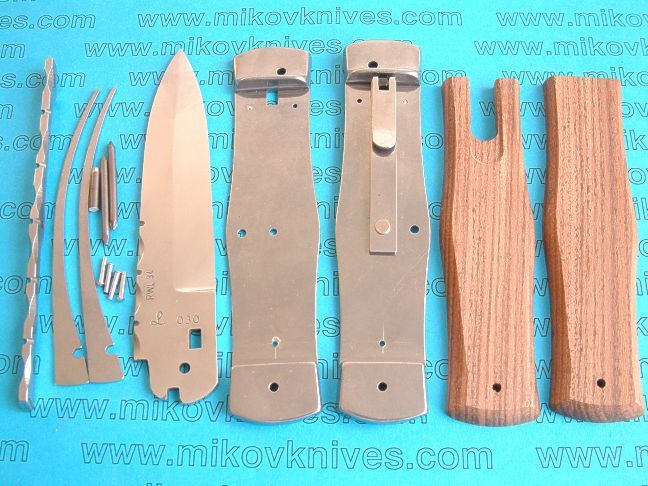 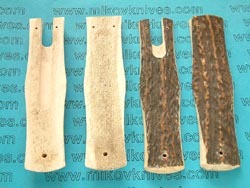 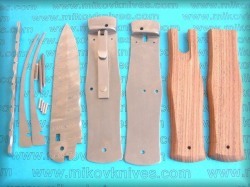 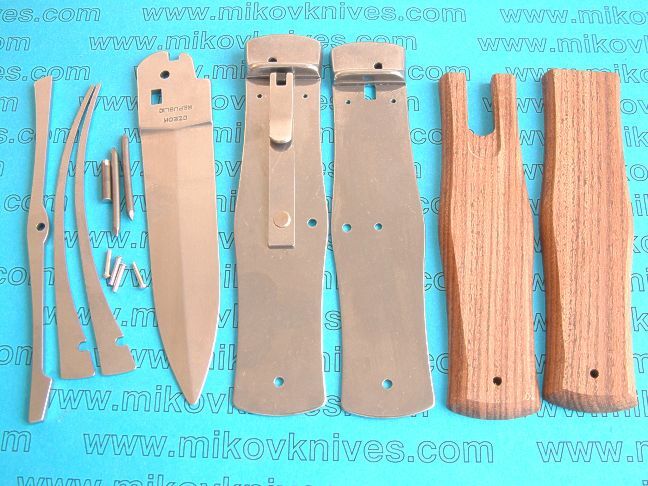 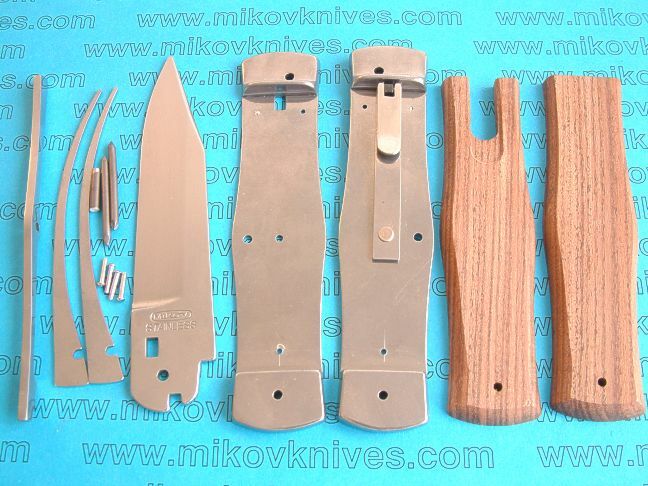 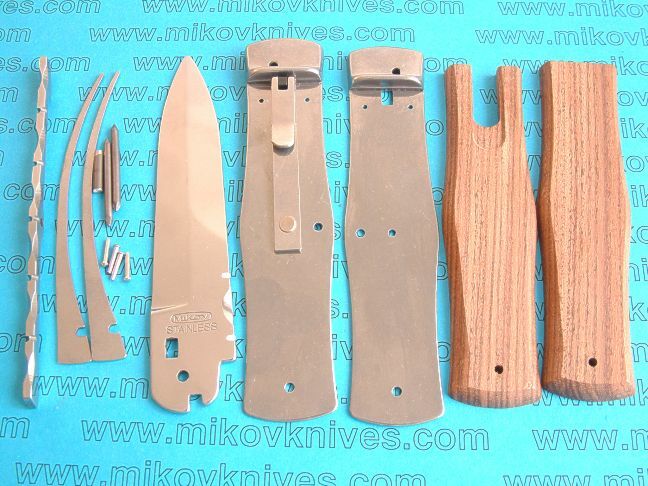 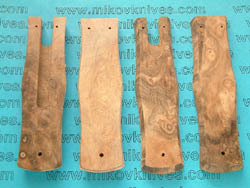 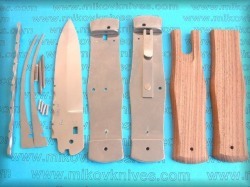 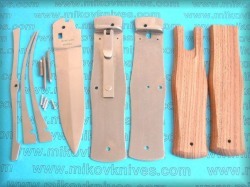 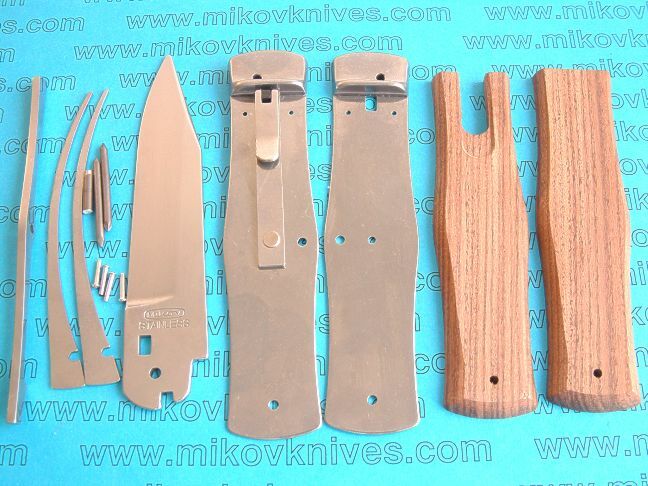 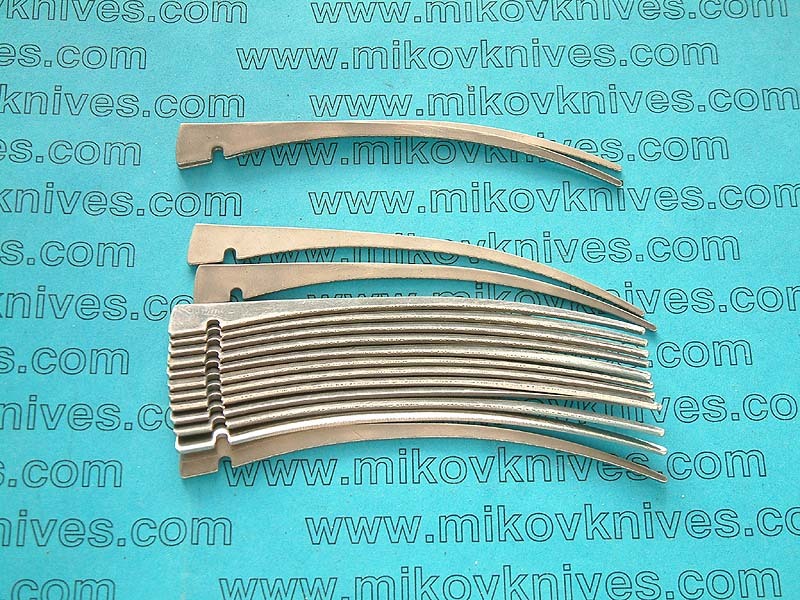 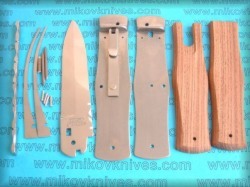 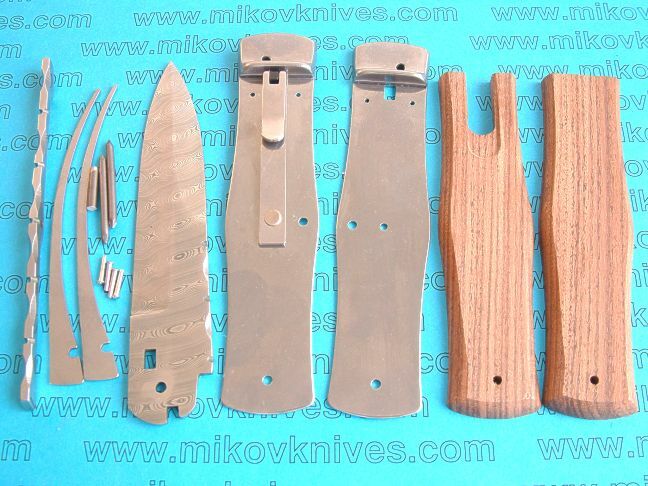 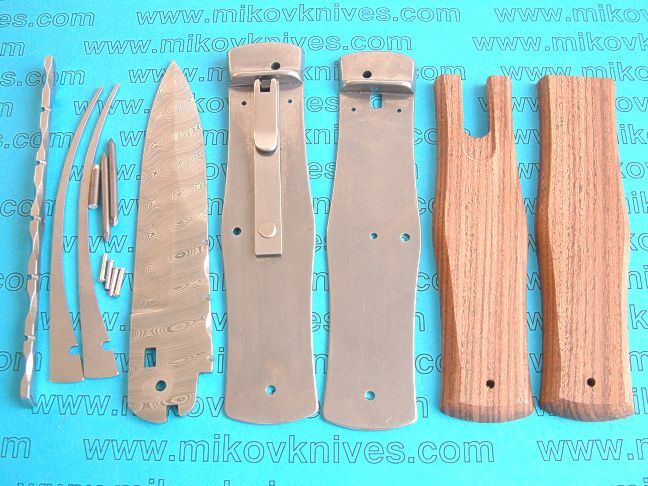 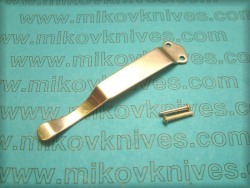 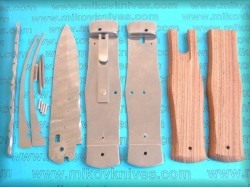 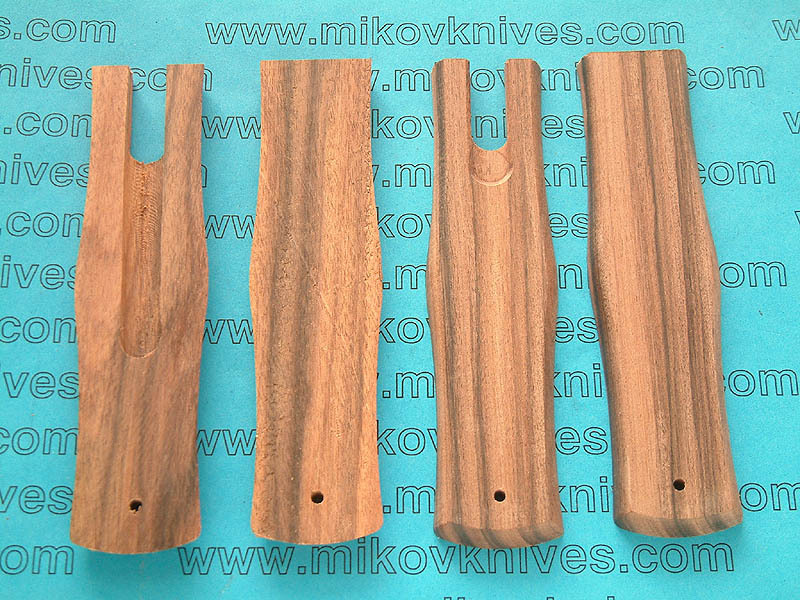 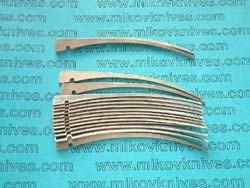 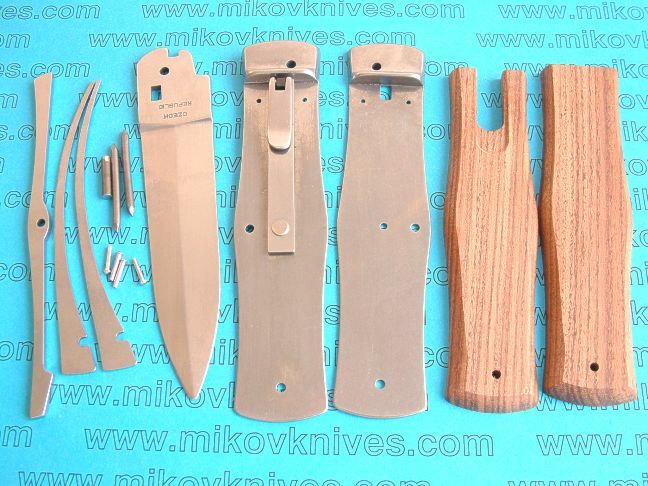 All Mikov auto kits are now available also with pocket clip (please add 5.00 USD). 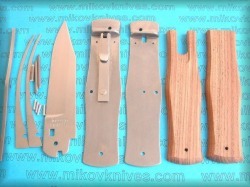 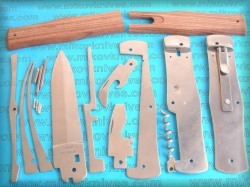 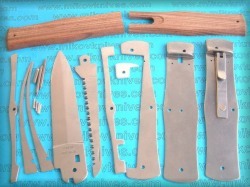 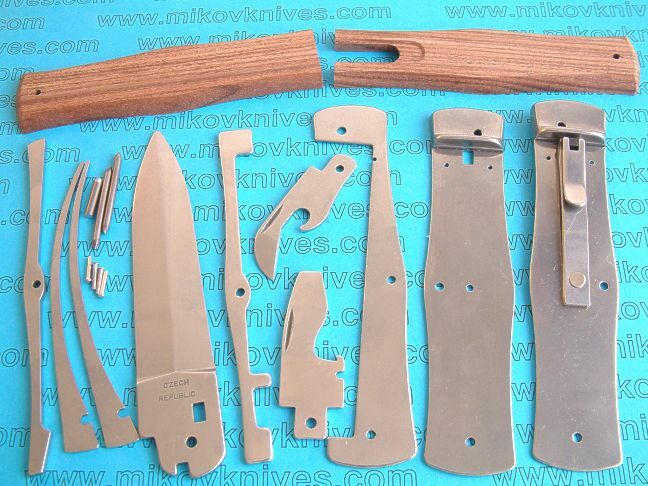 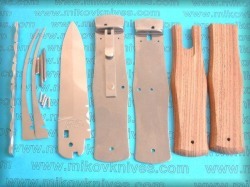 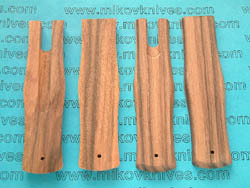 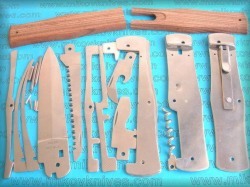 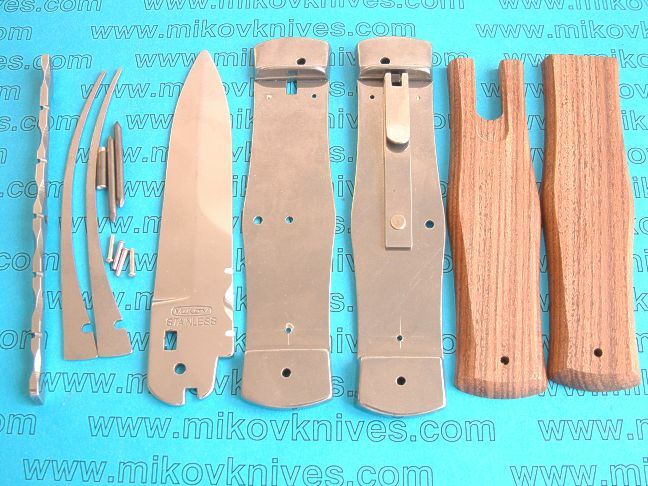 Modified dagger or utility blade can be added to any multibladed kit (add 10.00 or 15.00 USD). 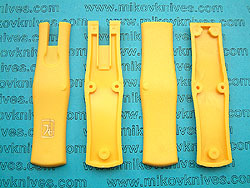 I do not provide any instructions how to assemble the kits but great tutorial can be found right here.